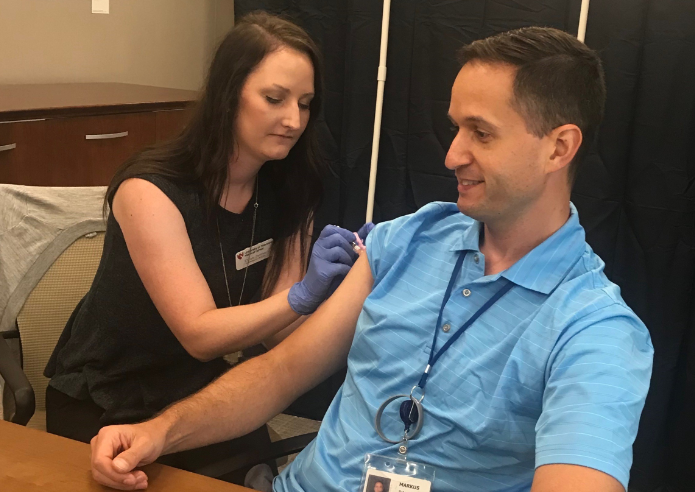 Blue Cross and Blue Shield of Nebraska (BCBSNE) employees had the opportunity to prepare for flu season on Wednesday, Sept. 19 with free flu shots available at Blue Cross Centre. 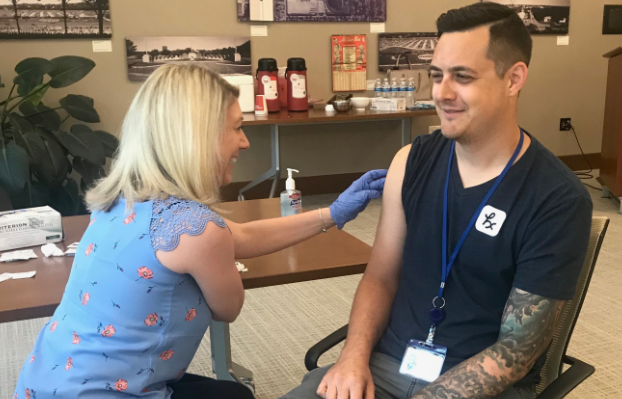 The flu shots were administered by Think Whole Person Healthcare pharmacy staff from 7 a.m. to 1 p.m. During this time, a total of 500 employees received a shot, said Carrie Kahnk, BCBSNE wellness coordinator. Designer Brett Vaida, who gets a flu shot every year, was among the free shot recipients. Vaida said he thinks it’s better to get one than not, especially when the shots are available in the workplace. 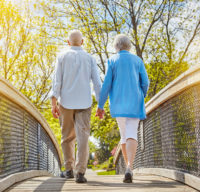 “It’s free, it’s easy and you’re less likely to get the flu,” Vaida said. Designer Brett Vaida’s arm is wiped down with an alcohol wipe in preparation for a flu shot. Don’t buy into the common myth that flu shots are just for the elderly, pregnant and immunocompromised. Everyone six months of age and older should get a shot in the fall. 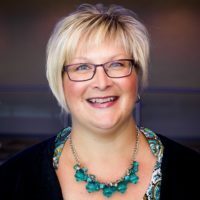 “The only ones who should not get a flu shot are infants less than 6 months of age or those with an allergy to the flu shot components,” Esser said. Between 163 and 168 million flu vaccine doses are expected to be supplied during the 2018-19 flu season, according to the CDC. Get a shot this fall and squash the flu bug before it bites you.